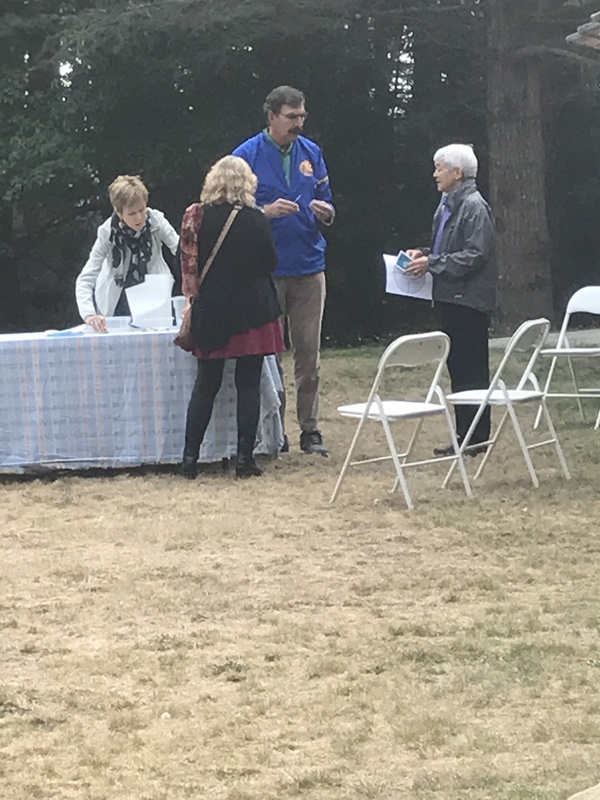 Photos from our "Walk the Labyrinth" event on Saturday, October 21 at Mary, Star of the Sea Church. 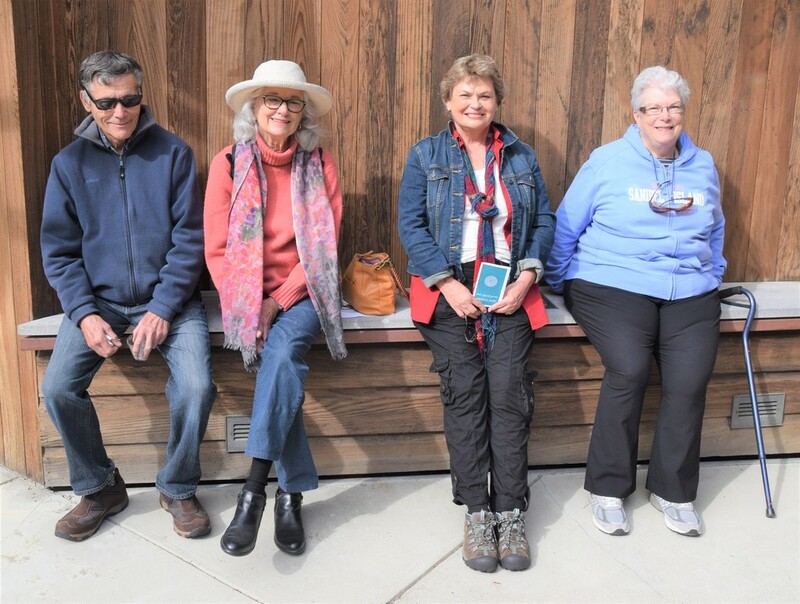 Participants came from Shepherd by the Sea Episcopal-Lutheran Mission (SBTS), Mary, Star of the Sea Catholic Mission, the Friday Meditation Group, and from elsewhere in our local community. 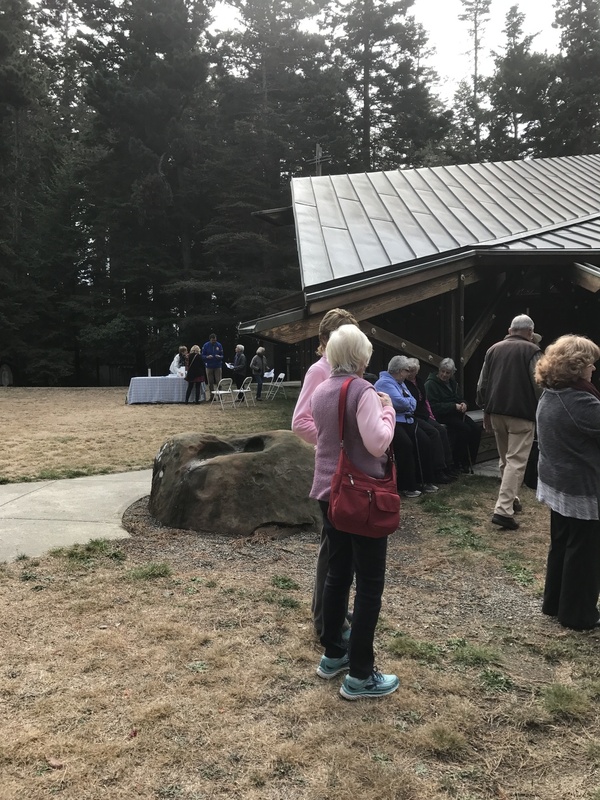 Both churches and the Meditation Group worked in unity to offer the event. The Rev. 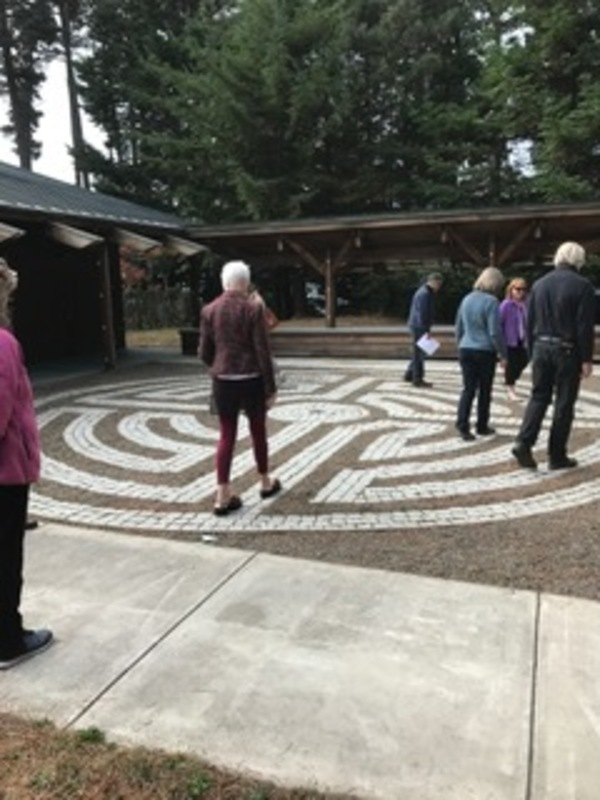 Chris Creed presided, A short presentation on labyrinths began the event and several groups of people walked the labyrinth in silence. 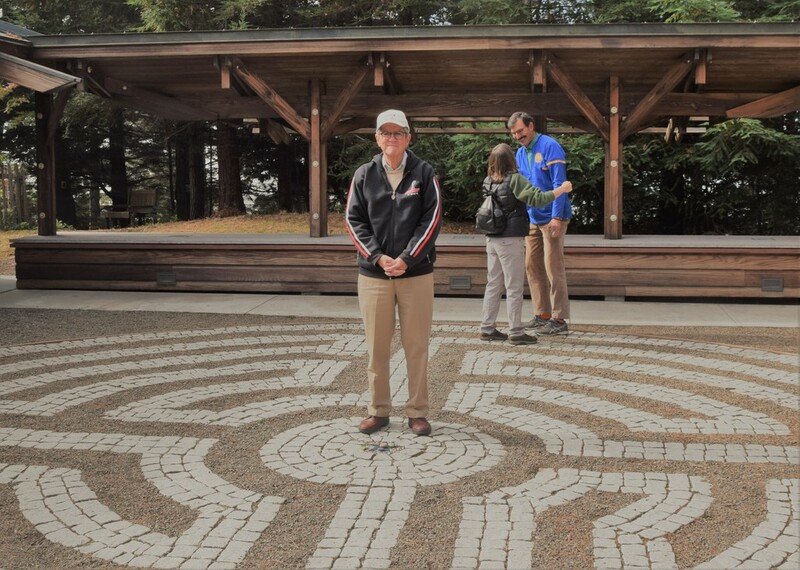 Labyrinths are meant to nurture the mind, body and spirit through meditation. The path of the labyrinth symbolizes the path through life. We welcome you to visit and walk in peace in this quiet space. 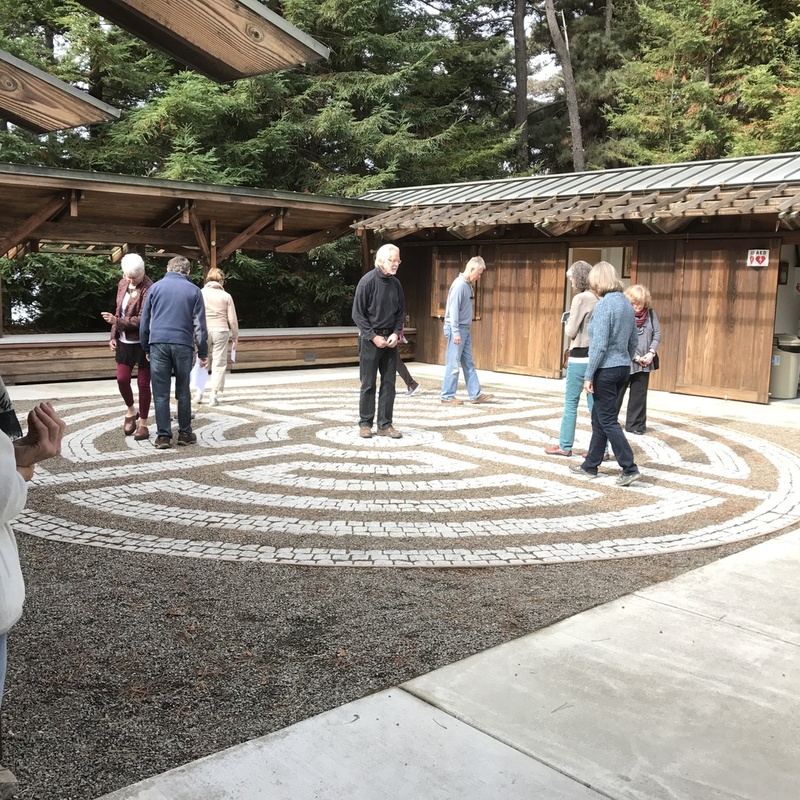 The labyrinth is available 24 hours a day. 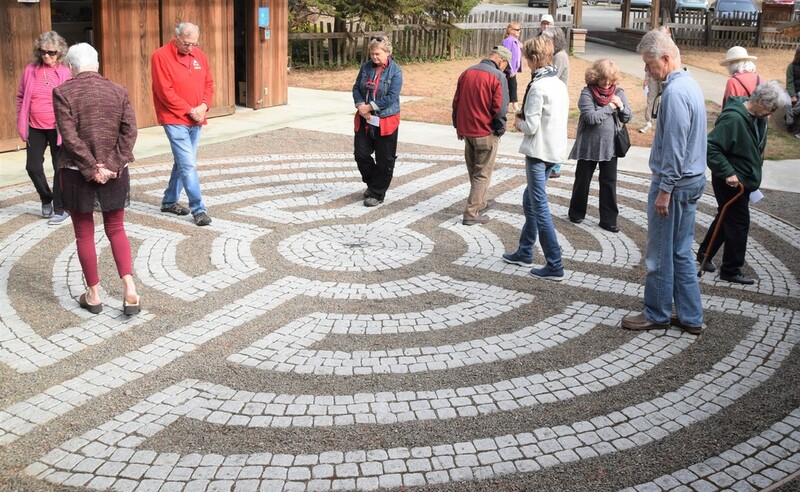 The labyrinth is a memorial to Lenore and Adolph Sollem, founding members of SBTS. 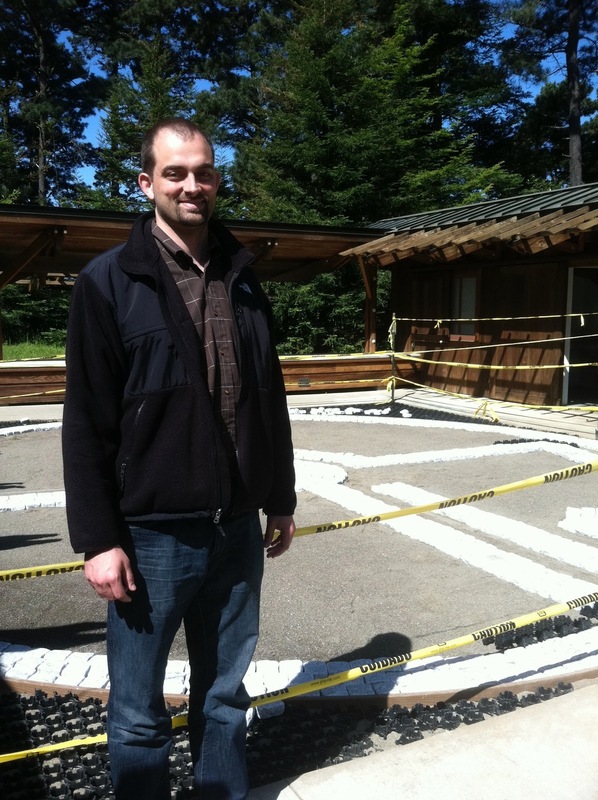 Following Lenore's death in 2010, her grandson Kevin McLaughlin provided resources to build the labyrinth and worked with Ben Klagenberg and other members of Mary Star to complete the project.